We went out to dinner with Mrs. Birraire and my parents-in-law in a lovely coastal town called Sant Antoni de Calonge*. In particular, we had booked a table in a former barber's shop, Cal Barber, that some years ago turned to a tapas bar, located right on the sea promenade. Year after year, the landlord organises a little party for his clients in which the usual offer of fine food is complemented with live music. 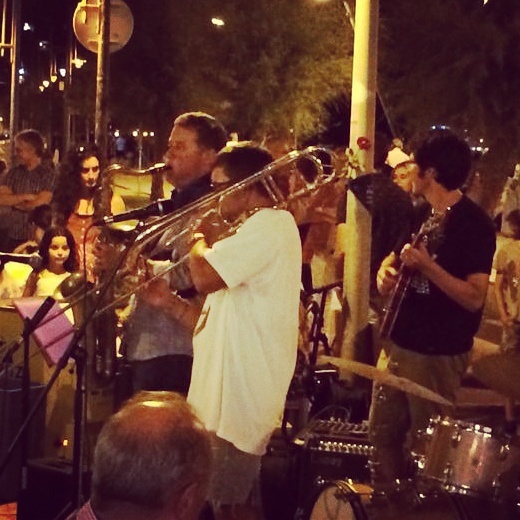 Different musicians who spend their summertime in town gather together to play and build a nice festive atmosphere for both clients and passers-by to enjoy. I knew beforehand that I wouldn't get to drink Belgian beer, as I usually do every year on August 27th. However, breaking this time-honoured tradition felt unexpectedly OK: I relished the carelessness of knowing which beer I'd be drinking the whole night before reaching the place. What was still to be determined is how many bottles we'd down. I've lately been mostly looking for beers with high drinkability, and the real ales I drank during my summer trip reinforced the arguments for my quest. Following this trend, Moska Rossa seemed to be a rather good companion for the night. It is one of the veteran local brews (out since 2008) hence being away from the beer-geek conversation as everyone must have ticked/rated it by now (isn't beer just about it, nowadays?). Still, I reckon that I'm not alone in the appreciation of its virtue to be fancied and sessioned. 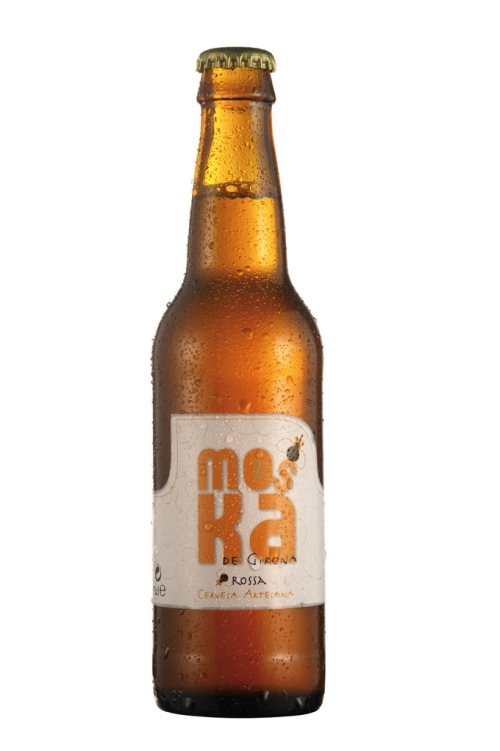 It is one of the percentage-wise few Lagers regularly brewed by Catalan microbreweries. It is soft and refreshing, floral, slightly sweet and quite light, with a nice and clean finish; dry and moderately bitter. It was a perfect and discreet match for the lovely dinner of local cuisine and the great atmosphere brought by the dozen of artists that were alternately playing on a warm summer night at one of the most charming towns in Costa Brava**. Some bottles later, the repertoire had offered lots of varied songs, ranging from the Bee Gees to the Pulp Fiction soundtrack. They even played a majestic "Nessun Dorma" that brought goosebumps to all the people that gathered for the show. It all ended up with Catalan Rumba, dedicated to its recently deceased musical father, Pere Pubill Calaf "Peret" (remember the Olympic Games?). On our way back we talked about the great quality offer of the bar: good service, prime food and an increasingly wide range of local beer (specially from nearby brewers), along with good wine, naturally. It was without a shadow of a doubt a great celebration for my 7th independence anniversary. Out of the usual parameters, but I'm sure I'll try to do something along these lines for next year. Simple and enjoyable. That's all for today. Within the following weeks I'll write about the pubs and festivals I visited during my stay in Wales this summer. I'll also try to catch up with some pending stuff I wanted to post before vacations. * Free tip for your next summer trip.